Perform effective CPR based on 2015 AHA/ERC guidelines. Early CPR is a crucial link in the sudden cardiac arrest “chain of survival”, and quality CPR is the key to a victim’s maximum chance for survival. Many lay rescuers may wonder if they are performing CPR correctly since there is a significant difference between learning CPR in a classroom setting on a manikin, and performing it on an actual SCA victim. With Intellisense CPR Feedback from Cardiac Science, providing effective CPR compressions is now within reach. Each device features Rescue Ready® technology, embedded smart circuitry, and a motion sensor to self-test for presence and functionality. With one touch, CPR Feedback voice and text prompts are provided in an alternate language. Rescuer CPR performance can be captured on the rescue report. Rescue Ready self-testing data captured in AED Manager. Experienced and first-time AED responders can perform effective CPR based on 2015 AHA/ERC guidelines. Simple place-and-press functionality requires no complicated preparation, adjustment, or delay. 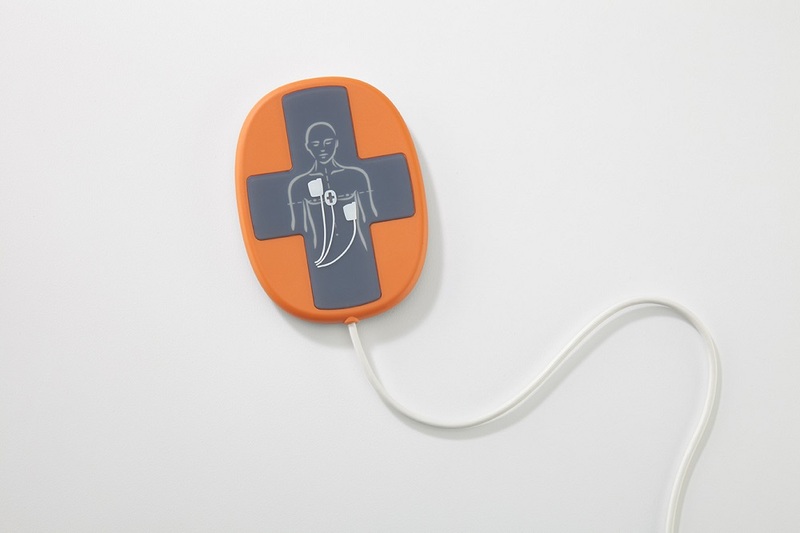 Non-slip surface and ergonomic shape ensures secure placement during CPR. Voice and text feedback provides corrective rate and depth instructions to help ensure effective CPR. If a rescuer does not want to use CPR Feedback, he or she may set it aside without it interfering with the rescue. Industry-first recoil analysis provides voice and text feedback to indicate when compression depth needs adjustment. “Press harder and fully release” if compressions are shallow; and an emphasis on recoil. “Press softer” if compressions are too hard. With Intellisense CPR Feedback, the Powerheart G5 is the first AED to provide dual-language corrective prompting for both compression rate and depth in accordance with the 2015 AHA / ERC CPR Guidelines. 2Based on European Resuscitation Council (ERC) and American Heart Association (AHA) 2015 Guidelines for Cardiopulmonary Resuscitation (CPR) and Emergency Cardiovascular Care (ECC) released on Oct. 15, 2015.